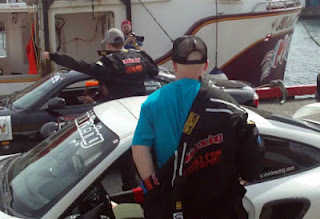 reaches the 2012 Targa Newfoundland finish line. Here, finally, is my video of the various competitors crossing the finish line. I should explain that the rally stages were already completed, so the order in which the cars appear has nothing to do with the position in which they finished. Nonetheless, in order to claim a finisher’s medallion, each team must not only complete a certain number of stages, but their vehicle or parts thereof (that’s what the official rules say) must cross the finish line. The rules don’t say the vehicle has to cross under its own power. 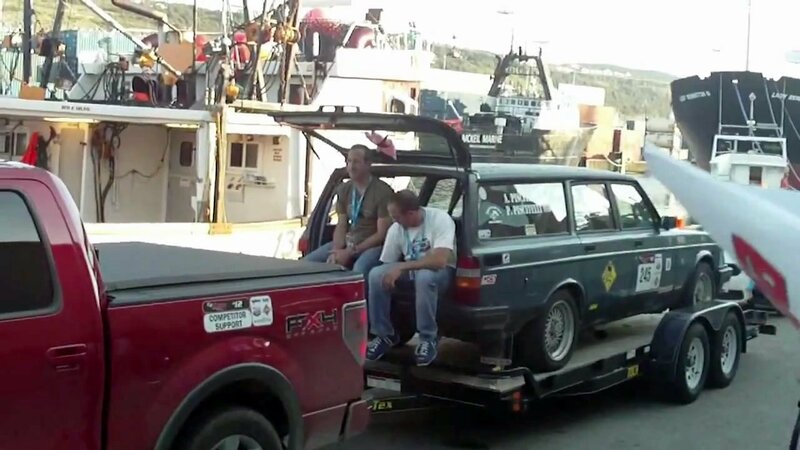 As you can see in the top photo, the 1983 Volvo 245 Turbo GLT driven by Tony and Philip Piscitelli had a little help. I think these guys deserve a medal just for being such good sports. They weren’t the only car to take some damage. Check out the 2004 Subaru WRX driven by John Howard and Matt Kelland. They’re still smiling, though. Classic: Scott Giannou and Ray Felice in a 1981 Porsche 911 SC, beating out six other teams, all of whom finished. Modern: Andrew Comrie-Picard and Brian O'Kane in a 2006 Mitsubishi Evo 9, beating out 13 other teams, only nine of whom finished. Open: Local favourites Paul Dyer and Justin Crant in a Mitsubishi, beating out 11 other teams, eight of whom finished. Grand Touring Equipped: John Hume and Craig MacMullen in a 2011 BMW 335is, beating seven other teams. Grand Touring Unequipped: David Burrows and Jason Fancey in a 2013 Scion FR-S, ahead of the only other team. Winners of the 2012 President’s Manufacturer’s Challenge, with two vehicles apiece entered, were Kia Canada and FIAT. The 2012 Kenzie Cup for Marque Teams, given to the manufacturer with the three highest placing cars, went to BMW. For a detailed look at the results, you can check out the Targa Newfoundland website. I’ve finally got caught up with my day job and had a chance to edit the video I shot of the official start to this year’s Targa Newfoundland on September 9. It was a perfect day for driving and there was a good crowd out to cheer on each of the teams as they crossed the start line and headed off for the three prologue stages. The prologue stages, held in nearby Flatrock and Torbay, were meant as shake-downs for the real thing, which started on the Monday. While the weather was perfect, the behaviour of my video camera was not, as it kept cutting out on me. Fortunately, my still camera also shoots video, though with less resolution and no sound. You’ll have to imagine the roar of the motors and the squeal of tires as the teams took off, because they were definitely putting on a show for their fans. I did get footage of most of the cars, and thanks to the video editing software of YouTube, my old camera did a fair job. You can catch the classic Mustang at around 6:16 of the video, and at 9:12, one of the cars comes through for a second time. Not a good sign if they got lost that quickly. And yes, there really were that many Porsches. Next on my agenda is the official finish. No problems with the video camera that day, so there will be sound and good resolution. 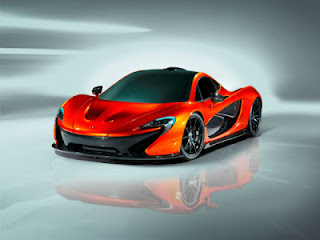 Okay, it’s not actually built yet, but McLaren has released images of its current project, which it describes as the “next generation ultimate supercar.” They’ll be previewing a design study at the Paris Motor Show running September 27 to October 14, and have promised more details after their press conference at the show on its opening day. Fact or marketing bumph? Guess we’ll find out when the rubber meets the track. As I’d posted several days back, I was at the opening car show for the Targa Newfoundland on September 8. I’ve now had a chance to label and edit my photos, so you can check out the cars in the attached video. Not all of the cars entered were in the show—there were vehicles coming and going throughout the day—but most of them were. At least one was out in the parking lot being worked on. In particular, note the lady with the crutch in the picture of the 1979 Porsche 911, not the two SCs, but the black one. Believe it or not, she was the navigator, and yes, she went through the entire Targa with a broken foot. In addition to getting a chance to see the cars and some of the drivers, the $5 admission got you a copy of this year’s official guide, which I’ve just now discovered has a page in the back for autographs, and a snazzy Targa poster, currently hanging on the wall in my office. The Autism Society of Newfoundland and Labrador, this year’s official Targa Newfoundland charity, had a booth selling food and also had volunteers selling tickets on a new car. 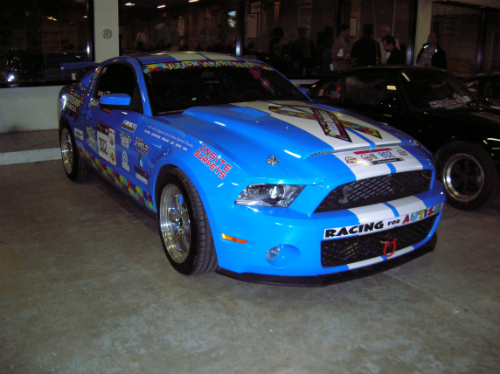 Several of the competitors were also racing to raise funds for autism. Targa management encourages the teams to raise funds for the charity of their choice and many were doing exactly that. Ronald MacDonald House seemed to be a popular pick. Of course there was also a booth selling official Targa Newfoundland gear. I hadn’t meant to get anything, but somehow ended up buying a Targa cap and a very nice lady’s polo shirt. I blame my husband for encouraging me. They must have sold out of the shirts because I don’t see any left on their merchandise page. I know I got the last blue one. Lots of other things still available though, including a DVD of the 10th anniversary Targa held last year. Now that I’m back home from St. John’s, not dealing with a laggy computer that I was sharing with three other people, I hope to have photos and video of my Targa Newfoundland experience up soon. 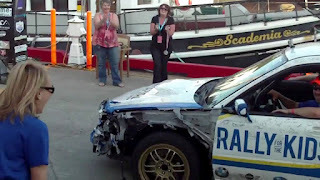 While I didn’t have the budget to chase the rally cars all over Newfoundland (maybe next time), I did catch the start and finish. In the meantime, here are some links to the past week’s events. You can check out each day’s results in my Examiner columns starting here, or you can check out the official Targa Newfoundland site. There’s some good coverage, including photos and video, on autoblog.com. There’s more coverage over at Vivid Racing, who had a 2011 Porsche 997 Turbo S in the running. 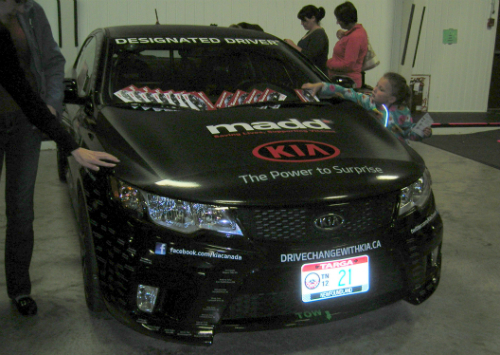 And even more coverage at autonet.ca, who had a 2010 Kia Forte Koup in the race. Yes, I’m actually in St. John’s, and will be doing some coverage of this year’s Targa Newfoundland. The official start is later today, but things began for the spectators yesterday with a car show at the Remax Centre, or, as the locals call it, the curling club. I’ve never seen so many rally cars in one place before—or so many Porsches for that matter. It was the first of a series of shows, as there will be one each night in whatever community that day’s driving has ended in. Loved getting a close look and peeking through the windows at the interiors. 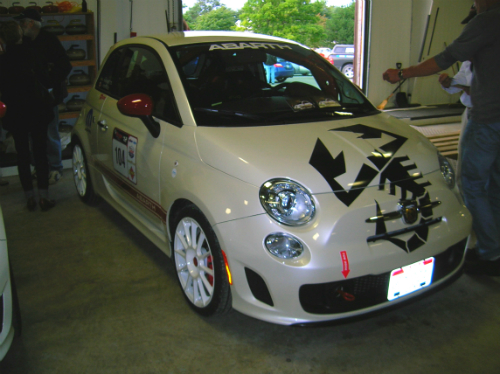 I’ll be posting more pictures once I get home, but here’s one of the 2012 Fiat Abarth entered by Chrysler’s team (I still wish they’d put a Viper in—maybe next year), and a 2010 Ford Shelby GT 500 which is raising money for autism, this year’s official charity. If you’re one of the many Targa Newfoundland fans who can’t actually make it out to watch next week’s rally, you’re in luck. They’ve announced a new website, www.targanewfoundlandnews.com, where daily results and a daily video news summary will be posted starting on September 9. While the main website has always posted results and photos, the daily video is a welcome addition. I know I’ll be checking it out. According to Targa organizer Robert Giannou, “Not only will this new program help deliver Targa results faster, and to those fans who really follow the event, we hope this format will provide the opportunity to tell the story of more teams’ adventures at Targa.” Sounds good to me. I have to admit I’m disappointed that Ralph Gilles won’t be behind the wheel of an SRT Viper for this year’s running of the TargaNewfoundland (September 8 to 15). I suspect he is, too. Nonetheless, Chrysler Group does have an entry in the Targa, a 2012 Fiat 500 Abarth, nicely tuned. The Fiat will be driven by Jen Horsey, writer, reporter and Targa veteran, and Formula DRIFT champion and stunt driver Samuel Hubinette. Last year, Horsey and Gilles came in second in their group (Modern Division) in the Viper. Should be interesting to see how Horsey and Hubinette make out in the Fiat. I bet it’s easier to get around the corners. Back in the ‘80s, when Knight Rider was on TV, I couldn’t have cared less about David Hasselhoff. It was the car I wanted. Now I find out that if I only had £30,000 or so, I could own KITT, or at least a very nice replica. Not just any replica, either. This one is apparently so good that it’s been hired many times, including by David Hasselhoff himself. It’s not just the car that’s being sold, it’s the car hire business that goes with it. Ha! Like I would let anyone else get their grubby little hands on KITT once he was safely in my garage. Sorry, no photos to accompany this article, though you can find them on the businessforsale page, together with information on how to make them an offer. If the link only brings up the main page, ask it to show you all countries, and then check “unique” under type of business.